The Franco-German axis, which for so long has defined the European Union, has taken some serious hits lately. 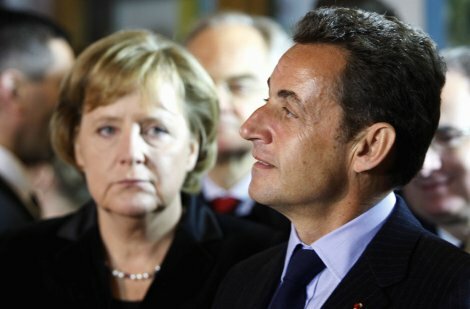 Following the trauma of the eurozone crisis, the relationship between the two countries is heading towards a historic post-war low - to the point that Angela Merkel and Nicolas Sarkozy are no longer on speaking terms according to whispers in Brussels. This wasn't helped by Sarkozy's comments the other week that "95 percent" of the bailout package deal agreed corresponded to French demands. Today Wirtschaftswoche takes an interesting look at the strains, quoting one "experienced" CDU source saying that "In this government one can talk anti-French without being punished...that wasn't the case at the time of [Chancellor] Kohl". Quite extrordinarily, the article also suggests that relations between Sarkozy and Merkel are at such a low ebb that "Merkel likes to imitate the vain behaviour of the little Frenchman, thereby making friends in her party laugh during the late hours." Harsh! "Mrs Thatcher spoke the language of the small shopkeeper from her native Lincolnshire. 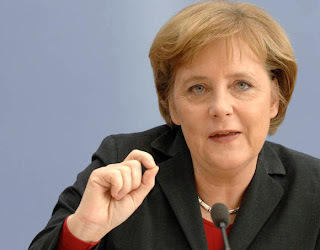 Ms Merkel, as determined as was Britain’s Iron Lady that Germany should no longer pick up Europe’s bills, has her own exemplar of the virtues of provincial thrift." He also seems very pleased with his phrase "anti-European invective", using it twice to describe what he sees as the mood in the UK and Germany - without engaging with any of the actual arguments about the sustainability of the current model for European integration. Stephens is obviously struggling to get with the programme. If Merkel sounds like Thatcher, what exactly is that a sign of? German taxpayers are potentially liable for some €120 billion in eurozone loans and have just seen the independence of the ECB kissed goodbye - after having been promised that neither could ever happen. Whining over the fact that the Germans are not acting like this is 'business as usual' just isn't serious. In Stephens' eyes the whole world is turning 'anti-European', apart from Sarkozy and a freemasonry of like-minded Eurocrats in Brussels (to steal a phrase from a thought-provoking piece by Simon Jenkins the other day). His views sound almost...provincial. "Now, at the worst possible moment, Germany is turning to nationalist illusions. Europe’s past economic successes are now viewed as German successes. Europe’s current deep problems are everyone else’s except Germany’s. That is neither realistic nor sustainable. But German politicians and commentators are callously and self-destructively feeding these ideas." "Anger and denial are hardly surprising. Germans were promised that the single currency would be the old Deutschmark in new clothes, backed by Teutonic discipline and a fiercely independent central bank. Arguably, that fantasy Deutschmark died early on May 10th, when a euro-zone bail-out mechanism was agreed and the European Central Bank started buying government bonds by the bucket load. Germans are now in mourning. How they recover is not just their problem, but Europe's". In any case, the broken Franco-German engine certainly opens up the playing field for new alliances in Europe - and a new, more sustainable and healthy European agenda. Is the UK's Con-Lib coalition government ready to go to work? Yesterday we published a range of different promises and reckless predictions made by politicans regarding the euro over the last 15 years. Its quite clear that politicans, central bankers and others got it spectacularly wrong on the euro - displaying a combination of naïve idealism, incompetence and dishonesty. Yes, it's now in everyone's interest for the eurozone to sort out its mess. But we also need to be honest about the fact that beyond the economic failure - as serious as that is - this crisis is about a breakdown in trust between the political class and European citizens. If people are ever going to re-gain faith in politics - and their belief in the EU's ability to deliver what citizens actually want - now is the time to push for an alternative model for European co-operation, one that is more democratic, and both politically and economically sustainable. - Article 104b, Maastricht Treaty, 1992. - German Chancellor, Angela Merkel, 1 March 2010. - German Economy Minister, Rainer Brüderle, 5 March 2010. - Lib Dem leader, Nick Clegg, 2002. - Kenneth Clarke MP, 2002. - Former Labour MEP Richard Corbett, 2009. - ECB President, Jean-Claude Trichet, 2007. - European Commission President, José Manuel Barroso, 5 February 2010. Greek PM George Papandreou made quite an astonishing comment over the weekend regarding the charge that Greece had cooked the books in order to gain entry to the euro. 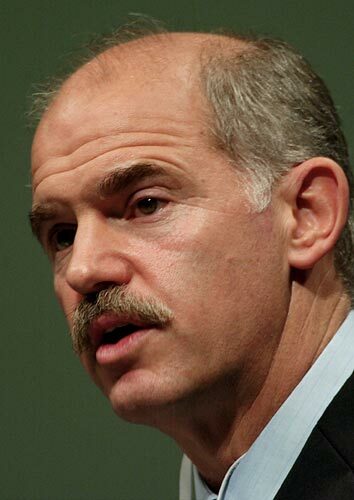 Papandreou insisted, in an interview with El Pais, that letting Greece into the euro was not a mistake, saying, “the Commission was provided with incorrect figures for six years. 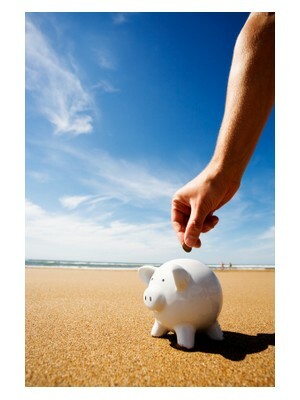 Indeed, part of the responsibility was on Greece, but the Eurozone also lacked the tools to notice that”. You must have sympathy for Papandreou - he inherited an impossible situation from his predecessor. And no national leader is going to take accusations of fiddling figures or collective dishonesty lightly but in this case it might have been more sensible for Papandreou to bite his tongue. His reasoning is similar to a benefit fraudster saying ‘yes, I lied to the authorities to get money but it’s your fault because you didn’t discover it”. Neither are Papandreou’s comments likely to go down well in the member states picking up the €110bn bill for the Greek bailout. In these rather gloomy (except today) and dark times of recession and gloom, what could be more uplifting than a holiday, to an exotic destination within the EU, subsidised by the European Union. Sounds great huh? Well, perhaps it's not so uplifting or great when we consider where the cash will actually come from - our less than exotic taxes. It may strike many as a rather strange ‘initiative’ for the EU to introduce when we consider that most member states are presently stuck in a debt trap deeper than the Spanish caves of Drach. But no, as ridiculous as it sounds, this isn’t a joke. Under the Lisbon Treaty, tourism was brought in as a new EU competence with the aim of boosting the industry. “our unrivalled tourism resources must become fully accessible to those for whom travelling is difficult: the elderly and persons with reduced mobility…young persons and families at a disadvantage who – for various reasons – also face difficulties in exercising their full right to tourism”. In particular, subsidies would be given for the disadvantaged to travel during the low season to encourage year round tourism flows. Aside from the economic illiteracy of the ‘initiative’, some may be confused as to why Brussels would champion the right of tourism for all when fighting climate change, through reducing carbon emissions and introducing carbon taxes, is heralded to be a key EU priority. In fact, the EU already pays out for a variety of campaigns urging us to "travel responsibly" such as the You Control Climate Change! and Climate Action schemes. Of course, this contradictory behaviour is par for the European course. Many will remember the controversial junket taken in March this year when 250 delegates (including 68 members of the European Parliament) jetted off to sunny Tenerife to discuss a variety of issues including the environment and sustainable tourism. Last year 651,000 babies were born in Germany, 30,000 less than the previous year. With only 8.2 children being born for every 1,000 citizens (compared with 9.3 in 2000), and with 10 in 1,000 citizens dying every year, Germany is nowhere near approaching a replacement rate that would keep the population table. Eurostat's current population projections already see Germany falling from 82m to 76m by 2045. The UK and France are set to grow from 62m and 63m to 73m and 71m respectively. 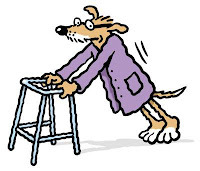 But looking at the 'dependency ratio' (projected number of persons aged 65 and over expressed as a percentage of the projected number of persons aged between 15 and 64) is even more worrying. We accept it is worrying for the EU as a whole, particularly Eastern Europe. However, Germany's ratio will increase from 31% today to 55% in 2045, France from 26% to 44%, Italy from 31% to 58%, Spain from 24% to 54%, Portugal from 27% to 50%, Greece from 28% to 53%, Netherlands from 23% to 46%. No wonder then that Germany is so desperate for the eurozone members to get their budgets in order - there is a huge social security bill heading their way and far less people to pay for it. And, for those who still harbour a desire for the UK to one day join the eurozone or suggest that the UK risks being marginalised in Europe, compare the stats for the UK: the ratio will rise from 25% now to 37% in 2045. Not great, but far better than elsewhere. While the UK still faces major challenges, such as paying for its bloated public sector pensions and reducing the alarming deficit, in 2045, the UK should be where the economic action is. This will be hard for others to ignore and should spur the UK to be more confident about setting out an alternative vision for the EU. Europe is in desperate need of reform in order to become more democratic, economically dynamic and modern. The Con-Lib government has the potential to become a powerful force for such reforms. But it must have the courage to stand up for these changes both abroad and at home. In the end, this would benefit Europe, Britain and the coalition itself. Since when has breaking the law been a 'competition'? The European Parliament has today passed a resolution calling for the harmonisation of fines that member states impose on lorry drivers who breach EU working time rules and fail to take adequate rest breaks between journeys. Given the goings on with the new coalition government in the UK and the perpetual trials and tribulations of the euro, this may seem like small-fry but it does nonetheless illustrate why the EU and the European Parliament, in particular, can be so infuriating. Lorry drivers who break rules on working time, rest periods or working conditions should pay clear and comparable penalties across the EU, says a resolution adopted by Parliament on Tuesday. The resolution criticises wide disparities in EU Member States' fines for similar offences and calls for closer harmonisation and co-ordination of penalties, in the interests of road safety and fair competition. It laments that "Fines for exceeding the daily driving time by more than two hours are currently ten times higher in Spain (€4,600) than in Greece (€400)." While no one wants to trivialise the potential damage that could be done to people's lives by lorry drivers who break the rules by acting irresponsibly, the language and logic used by the Parliament is simply crazy. Since when has breaking the law been a 'competition'? Are MEPs seriously suggesting that lorry drivers are making a conscious decision to look for the EU country with the lowest fines and then choosing to break the law? And even if this were the case, why can't those national governments of the member states with the most lawless lorry drivers be trusted to implement a system of fines that they, rather than MEPs, deem appropriate? The proposed resolution goes to a full vote in June and we would hope that by then enough MEPs see that this is a ludicrous proposal that should be knocked on the head and never seen or heard of again. Things aren't looking great for the AIFM Directive. At least not from the point of view of developing countries, SMEs, European taxpayers, pensioners and assorted charities - all of which will be negatively affected if the Directive is passed in its current form. In fact, there has rarely been a law with so many losers and so few winners. Frankly, what are they thinking? Undercutting a fragile coalition government for which 'Europe' is clearly a make or break issue is probably not the best way to ensure the UK's constructive long-term engagement with Europe. It also happens to be an attack on US interests, as funds and managers based offshore will find it far more difficult to access the EU market under the Directive - in turn increasing the scope for regulatory retaliation. And from EU leaders' point of view, why put the Lib-Dems - the one remaining voice for EU-enthusiasm in the UK - in such an awkward position? This will seriously undermine the party's ability to defend its line against Tory backbenchers. And, remember, Europe needs capital - governments and firms alike - in order to bounce back from the downturn (remember the €750 billion package agreed last weekend?). The AIFMD is a blow to an industry which can provide just that. Indeed, it's fully possible to introduce stricter rules for transparency and accountability - which the industry needs - without negatively affecting capital flows and growth (the Swedish EU Presidency came close to producing such a compromise proposal in December). The story of the AIFM Directive is simultaneously an illustration of how poor the UK government and the City of London are at engaging with Brussels, and how difficult it seems to be for EU leaders to let political and economic reason prevail over ideological bias and short-term thinking. An often repeated question is: imagine if this was a law threatening French agriculture or the German car industry...? We suspect that the game would have looked very different. For an example, compare the language coming out of the UK over the weekend on the AIFMD to the strong French defence of the agriculture sector in response to recent discussions on possible bilateral trade talks with other regions. According to the Sunday Telegraph, a UK Government source said that "There is a majority in favour of the directive and we don't want to be in a position where we squander any negotiating capital we have for the future on an issue it doesn't appear we can win." (okay, but why allow it to get to this point in the first place). France is opposed to resuming negotiations [with Mercosur countries], because they would inevitably end in further concessions to the detriment of French and European farmers. I don’t see why agriculture has always to be the adjustment variable of trade negotiations in Europe. It's true, French farmers don't make for as convenient scapegoats for the failures of a certain Single Currency. But still, you would hope that EU leaders could see common sense and have at least delayed this vote to allow the new UK government some time to prepare. At the end of the day, this would be in Europe's interest - economically as well as politically. It has been an absolutely extraordinary week in European politics. A Con-Lib coalition government has been formed in the UK; the eurozone has been shaken to its very core amid the ongoing sovereign debt crisis; European leaders have agreed on a mind-boggling rescue package worth some €500 billion (and killed the no bail-out principle in the process); the European Central Bank has done what previously was unthinkable and intervened directly in bond markets; the Commission has tabled proposals to give the EU the mandate to sign off national budgets; Angela Merkel has called for a Treaty change to toughen up the Stability and Growth Pact (also calling for a European Army while she was at it); and the UK has become isolated on the very symbolically and economically important AIFM Directive (although the FT was unnecessarily hysterical today). And today we learn from Spanish El Pais that according to Spanish PM José Luis Rodríguez Zapatero, Nicolas Sarkozy threatened to leave the euro over the weekend unless Germany coughed up money to help Greece and other struggling euro-states. The revelation – which is being denied ferociously by everyone involved – sent the euro tumbling today. One of the people in the audience apparently drew the conclusion from Zapatero’s speech that “Sarkozy had hit his fist on the table and threatened to break away from the euro, which forced Angela Merkel to change her mind and reach an agreement." Another person in the audience concluded from Zapatero’s speech that “France, Italy and Spain formed a common front against Germany, and Sarkozy came to threaten Merkel with a break in the traditional Franco-German axis." According to the reports, Sarkozy had also said “"if at time like this, with all that is happening, Europe is not capable of a united response, then the euro makes no sense". The expression "a week is a long time in politics" feels like an understatement all of a sudden. What does the Con-Lib coalition offer on Europe? The Conservatives have retained their pledge for a ‘referendum lock’ – guaranteeing that any future transfers of power to the EU be subject to a referendum – which is welcome, and could give citizens the sense of ownership over EU policies that has been missing in recent years. They have watered down their pledge for a UK Sovereignty Bill – saying instead only that they will “examine the case” for such a Bill. However, since it was never crystal clear how such a Bill might work in practice, we aren’t particularly vexed about this one. In a somewhat cynical move, the new Government has also made it clear that the UK will not join, or plan to join, the euro over the lifetime of the next Parliament. Since we would have sooner seen Bill Cash say “I agree with Guy (Verhofstadt)”, than a political party recommend joining the euro in the next 4-5 years, the euro question was effectively neutered anyway. Rather disappointingly the Conservatives appear to have shelved their plans to elevate the position of Europe Minister to Cabinet – this would have promoted the importance of the European Union in UK politics and shown that the Government was ready to become more engaged and forthright in promoting the UK’s interests in Europe. The new Europe Minister is David Liddington – and not Mark Francois who has shadowed the position since 2007. While we hope David Liddington will approach EU reform with the tenacity that is required, it is a disappointment that the continuity Mark brought to the role over recent years (amid ever-changing appointments on the Labour benches) will not be maintained under the new Government. The Conservatives have also dropped their pledge for an opt-out in criminal policy, and instead said they will approach any new legislation in justice and home affairs, and whether or not to opt-in, on a “case-by-case basis”. This is clearer a great deal closer to the position of the Lib Dems, who have favoured much more EU integration on justice and home affairs matters than any other party. This is a touch disappointing, as we have previously argued that this is an achievable, and desirable goal – giving the important impact such legislation has on the UK economy (and which is set to cost £71 billion over the next decade). While the Lisbon Treaty transferred a huge number of competences from member states to the EU, it is clearly a welcome step that the Government has committed to no new transfers of power over the next five years. If interpreted strictly, this pledge has the potential to be very radical indeed, with Angela Merkel stepping up her calls of late that some kind of Treaty change is desirable to strengthen the rules of the eurozone. The Commission's new proposals, set out on Wednesday, do suggest that the possibility of further transfers of economic competence to the EU may be on the horizon. The Greek crisis has meant that commitments to no more ‘institutional change” for ten years are all well and good, but countries such as Germany need some reassurance that the rules of monetary union will be toughened up and German taxpayers won’t be called on to bail out other eurozone countries who have run into financial difficulties. Therefore a strict pledge that no more powers should be transferred to the EU/or if they are they should be subject to a referendum, presents the Government with the opportunity for the leverage in negotiations it needs, e.g. on the EU budget. Is the Con/Lib agreement a good deal? Well, some of the most important bits from the Conservatives’ Europe policy are still in there – notably the referendum lock and a pledge to transfer no new powers to the EU. It is a disappointment to see a weakening in their stance on social and employment policy and justice and home affairs, but all marriages need compromise and given the gulf that lay between the two parties on the question of Europe, there is reason not to be too glum. While the Europe issue may be a ‘sleeping dog’ at the moment – rest assured that the preparations for a full-throttled push for a European economic government will mean that the question of new transfers of powers are not far off. The Commission has today presented plans to tighten up budgetary supervision and oversight in an attempt to avoid a repeat of the current eurozone crisis in the future (i.e. making up for the obvious and fundamental flaw of the eurozone, which is that monetary union cannot exist without economic and political union). “We want governments to send their budget outlines to Brussels for review before they are approved by their national parliaments," EU Economic and Monetary Affairs Commissioner Olli Rehn said today. "We can then see early whether a country is adhering to the Stability and Growth Pact. If not, we would intervene." Looking at the euro area as a whole and on a country-by-country basis, the Commission would assess the risk of all possible forms of macroeconomic imbalances that jeopardise the proper functioning of the euro area...The Council, with only euro-area Members voting, would invite the Member State(s) concerned to take the necessary action to remedy the situation. Should the Member State(s), within a stipulated time frame fail to take the appropriate measures to correct the excessive imbalance, the Council, with a view to ensure the proper functioning of EMU, could step up the surveillance for the Member State concerned and decide, on a proposal by the Commission, to issue precise economic policy recommendations. Where necessary, the Commission would use its possibility to issue early warnings directly to a euro-area Member State. This, in effect, means using the EU's institutions to encourage/force eurozone states to adopt economic policies that fit not just economic but also political aims - an anathema to the doctrine of low inflation, price stability and frugality engrained in the German public's psyche. "Clearly Germany has done an awfully good job in the last 10 years or so improving competitiveness. When you look at unit labour costs, they have done a tremendous job in that respect. I’m not sure it is a sustainable model for the long term and for the whole of the group. Clearly we need better convergence. While we need to make an effort, it takes two to tango." "The problem has to be solved from the Greek side, and everything has to be oriented in that direction rather than thinking of hasty help that does not achieve anything in the long run and merely weakens the euro even more." However, IMF chief Dominique Strauss-Kahn has been stirring German sensitivities again today by suggesting that the eurozone introduce short-term fiscal transfers between member states. To add insult to injury, the proposals tabled by the Commission will be decided by majority voting, meaning that Germany could be outvoted and be asked to revise its budget. We can't see that there's anyway Germany will accept this. The German public has already been asked to stump up a €123bn bailout package and swallow a growing politicisation of the European Central Bank, with its decision to start buying government bonds. But it seems the Commission, backed by the French political elite, has kept pushing. There surely comes a point when Germany has to push back. What was inconceivable only a couple of months ago has now happened: EU leaders have agreed a massive €500 billion bailout package for eurozone countries facing sovereign debt problems – on top of the €110 billion already committed in a separate rescue package for Greece. An additional €250 billion could also come from the IMF should things get really sticky. You have to go back pretty far in history to find a time when Europe’s leaders have been so desperate. And you can see why. Markets remained unconvinced of the adequacy of the original rescue package for Greece, and you could sense some serious anxiety over the risk of an escalating sovereign debt crisis, involving Spain, Portugal, Ireland and Italy (The UK is not exactly immune either, although its situation is different). In the last week, the EU elite realised in horror that their flagship project might actually be on the verge of collapsing under the weight of its own contradictions. Of course, these kinds of tensions are exactly what the sceptics always warned against, and those who blindly argued in favour the Single Currency have some serious soul-searching to do. But it’s still in everyone’s interest that the eurozone sorts out its mess, and the massive bailout package agreed over the weekend seems to have calmed the markets - for now. 1) Until very recently, Eurozone bailouts were considered a no-go, since both the letter and the spirit of the EU Treaties simply don’t allow for them. Just consider that as late as March this year, Angela Merkel said, "We have a Treaty under which there is no possibility of paying to bailout States in difficulty”. But as we noted many times before, EU law has a tendency to become irrelevant in times of crisis and the once heralded no bailout principle has now been watered down to the point of becoming meaningless. Having said that, the ‘big’ bailout fund still has some ways to go before it is approved by national parliaments and has passed all legal hurdles, as Edmund Conway points out on his Telegraph blog. 2) The scale of the bailout is mind-boggling. Again, consider that only a few weeks ago, the amount discussed was closer to €30 billion in a one-off bailout for Greece (and before that €20-25 billion). Then, on May 3rd, that amount had almost quadrupled. As Italian Foreign Minister Franco Frattini put it, “It was necessary to intervene right away to help Greece. To avoid damage we initially talked about 50 billion euros, but decided on 110 billion only 10 days later.” And roughly a week later the deal had been rolled out to all eurozone countries, now involving hundreds of billions of euros. You can forgive people for wondering where this will end. Particularly given that throwing good money after bad in this kind of way isn’t really solving the fundamental problems of the weak solvency, competiveness and productivity that weaker eurozone countries are currently facing. So this deal could easily spiral out of control and see UK and European taxpayers becoming exposed to ever growing debt burdens of governments over which they have no democratic control whatsoever. This simply isn’t sustainable. "Where a member state is in difficulties or is seriously threatened with difficulties caused by natural disasters or exceptional occurrences beyond its control, the Council, on a proposal from the Commission, may grant, under certain conditions, Union financial assistance to the member state." As we’ve stated before, the European Council has previously said that any use of this article must be compatible with the no bailout rule in the EU Treaties. This interpretation is now being completely ignored. “'Exceptional occurrences beyond control’? This is a lie. A whopping, howling lie told to us by Europe’s political class. This crisis is a product of human agency, the choices and decisions taken by people facing circumstances that are man-made and, thus, susceptible to political intervention. To use a legal clause designed for earthquakes or potentially extreme unforeseen circumstances that threaten the existence of one member state to save the skins of the EU’s political class is profoundly deceitful – quite aside from being legally dodgy." 4) What we were told would never happen, has now occurred - British taxpayers have become directly liable for the debts of eurozone governments. Part of the rescue package involves extending a special fund, previously available only for non-eurozone members Latvia and Hungary. This so-called 'stability fund' will allow the EU Commission to borrow up to €60 billion on international markets, in addition to the €50 billion that was already in the pot, using the EU budget as collateral. If a receiving country fails to pay back the loan, all 27 EU member states would be forced to pay into the EU budget to cover the default, meaning that British taxpayers would be liable for about 13 percent of any losses (corresponding to the UK’s share of the EU budget). Alistair Darling maintains that the maximum loss to British taxpayers would “only” be €8 billion. Mr Darling said yesterday that the UK will never “underwrite” the euro, but that is exactly what is happening (although the UK will be left out of the bulk of the rescue package, the €440 billion scheme of bilateral eurozone loans). 5) Eurozone leaders took a decision involving non-eurozone countries but without the latter being represented. Alistair Darling has said he supports the UK’s inclusion in the stability fund, but in reality he doesn’t have much of a choice. The decision was effectively taken at the eurozone summit on Friday and since the deal was decided using QMV (as it was based on Article 122), the UK didn’t have a veto when the deal was sealed in the Council of Ministers on Sunday. This is another thing that never was supposed to happen. 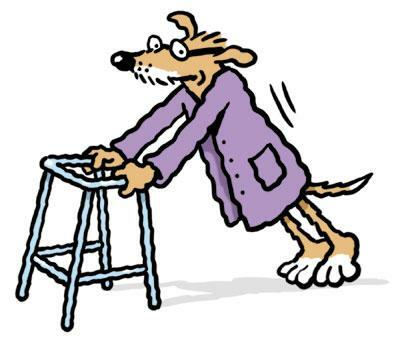 The fact that the UK only has a caretaker government in place at the moment didn’t exactly help either. 6) Germany had to cave in to French demands on the scope and details of the bailout. According to FAZ, following the deal, Nicolas Sarkozy triumphantly said that "95 percent" of the agreed bailout package "reflect French proposals…at last we have decided to give the eurozone a real economic government." This whole arrangement has Sarkozy’s fingerprints all over it. Or as the Brussels correspondent for FAZ, Werner Mussler noted yesterday, "The facts are: Sarkozy has achieved what he always wanted: the fundamental decisions of the eurozone will be taken by the leaders of the euro states." 7) The line between fiscal and monetary policy has been blurred. Arguably the most significant move over the weekend was the ECB’s decision to buy eurozone government and private debt. In doing so the ECB clearly bowed to political pressure, compromising its independence while for the first time getting involved in fiscal policy – akin to ‘quantitative easing’ in the UK (The EU Treaties prevent the ECB from buying bonds directly from governments, so to circumvent the rules it will instead be buying debt second-hand from banks). This is huge. In combination with the other moves towards fiscal EU centralisation (including more EU budgetary controls), it’s now beyond doubt that we’re seeing the emergence of an economic government for the eurozone. “This [the involvement of the ECB] will harm the stability of the euro in the longterm and bury the German belief in the stability of the euro. The costs of this error are not yet foreseeable...The German conceptions of stability principles, responsibility and a monetary policy independent of political influence are coming increasingly under pressure. The idea of an economic government with right of intervention in national economic policy, transfers of debt and a politically influenced central bank is on its way." So EU leaders have given themselves some breathing space, but what have they actually solved? And at what cost, in the medium and long term, to the EU economy and to European democracy? For all the talk now of the Lib Dems as the kingmakers, wooed by both Labour and the Tories for their 60-odd votes, it is possible to forget that Nick Clegg is not some shiny, unblemished debutante, but a seasoned politician with his own electoral baggage that could throw up sticking points with both Tory and Labour backbenchers (should Con-Lib coalition talks end in much ado about nothing). Indeed, if there is one reason for the Conservatives to turn around and attempt to go it alone with a minority Government, it’s the Lib Dems’ appalling record on whether British voters should be given the referendum they were promised on the Lisbon Treaty. The expression ‘flip-flopping’ doesn’t even begin to describe Nick Clegg’s behaviour when the issue was on the table in 2008 (see here for our reaction at the time). The Lib Dems, just like Labour and the Tories, promised in their 2005 election manifesto to put the European Constitution to a public vote. In 2007, in a bid to circumvent the No votes in the Netherlands and France, the EU Constitution was renamed the Lisbon Treaty and articles were recast, but the content remained virtually identical. A bill to put the Lisbon Treaty/EU Constitution to a referendum went through the Commons in March 2008 (after the Commons debate on the Treaty was cut short). While most Labour MPs voted against a referendum, and most Conservatives voted in favour, Nick Clegg ordered his MPs to abstain on the vote, insisting that the Lib Dems were instead in favour of a referendum on the UK’s continued membership of the EU. Three frontbench Lib Dem MPs were forced to resign because they felt bound by their election promise and decided to defy Clegg by voting in favour of a referendum on the Lisbon Treaty. After the failure of the referendum amendment in the Commons, Nick Clegg continued to insist that his party was committed to the idea of a referendum on Britain’s continued membership of the EU. He said : “I argued for an In-Out referendum – and have done so for years – because I am convinced it is the right thing for Britain”. However, the Lib Dems tabled no amendment to that effect when the issue was discussed in the Lords a few months later, and actually abstained from voting for an in/out referendum when such an amendment was put down, and instead voted in favour of the Lisbon Treaty. If the Lib Dems had abstained, like they did in the Commons, the referendum would have been passed. With the Lisbon Treaty ratified in all member states, the in/out referendum pledge then appeared to have been dropped, with former party leader Sir Menzies Campbell saying in December 2009 that there was "no public appetite" for such a vote since the Lisbon Treaty was now in force. However, the pledge then re-appeared in party’s election manifesto. Absolutely extraordinary. Perhaps we have too high expectations, but should politicians – particularly those who profess to want to ‘clean up politics’ and reconnect with voters – really get away with this kind of schizophrenic behaviour, which leaves voters wondering exactly where they stand on their manifesto pledges? If we can put aside any potential uncertainty in having a less-than-secure minority Government in place for at least a year and that is a big If – (for injecting confidence in the economy and for the ability of the UK to influence what’s happening in Brussels at the moment), this would be as good a reason as any for David Cameron to go it alone – not least since a key challenge for MPs over the life of the next Parliament is to be able to restore trust in politics. 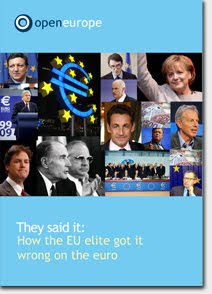 On a similar, but distinct, question of referendum promises, Nick Clegg spent last week doing some serious backpedalling in a bid to try and distance his party from their pledge to join the euro, which they featured slap band in the middle of their election manifesto. Quite clearly “there may be circumstances where you can imagine that might be the case”, is not the most ringing endorsement for joining the single currency ever to pass one’s lips, and yet their official position remains that joining the euro is in the long term interests of the UK? Perhaps the events of the weekend may be enough to convince some of them that such a scenario would never come to pass. So both Gordon Brown and David Cameron have extended an offer to the Lib Dems to begin talks to see whether some sort of coalition, however loose, could be agreed upon to form a Government. But Nick Clegg has said that it is for the Conservatives, as the largest party, to try and form a workable majority first. Speaking earlier today David Cameron clearly opened the door to a potential coalition with the Lib Dems. There has also been speculation that senior members from the Lib Dems could be offered roles in a Conservative-led government in return for their party's support. However, Cameron also set out the manifesto pledges that his party would not be willing to compromise on, including pledges on immigration, defence and the commitment that "[no] government should give more powers to the European union". 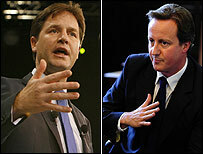 According to reports, Mr Clegg and Mr Cameron have already spoken this afternoon and agreed to explore possible deals. Now, there are lots of things to say about this deal or no-deal. Quite clearly, although many European countries find this type of political uncertainty business-as-usual following a national election, pro-longued uncertainty over who governs this country is in no one's interest. Certainty is particularly important for cleaning up the public finances and injecting confidence into the markets (which are struggling to come to terms with the debt crisis and contagion effect facing the eurozone). While electoral reform and the economic recovery will be the key issues in such an arrangement, the EU is clearly a dividing line between the Lib-Dems and the Conservatives, with Nick Clegg still committed to joining the euro in the long-term, favouring a common EU immigration policy and calling for further integration in justice and home affairs. Should the two parties agree to a coalition arrangement, especially if involved a Lib Dem cabinet position, the Conservatives could naturally find it more difficult to push through some of their key policy pledges on Europe. In particular, the Conservatives might fail to get support in Parliament for their flagship policy of a 'referendum-lock' - a law that would require every future transfer of power to the EU to be subject to a referendum in the UK (also 'the sovereign bill' might suffer but it's unclear how meaningful such a bill will be in practice in the first place). The Conservatives and the Lib Dems could also clash on whether the UK should opt in to the EU's growing number of initiatives in immigration, policing and security policy. Over the next five years, there are a range of key decisions a UK government must take in justice and home affairs, as the Lisbon Treaty drastically accelerates EU integration in this area. Ambitions to opt out of some parts of EU employment law could also be complicated by a Lib Dem/Conservative arrangement. Needless to say, none of this will go down well with Tory back-benchers or grass-roots. Other key areas, such as the upcoming negotiations on financial services legislation (in particular the AIFM Directive, set for May 18) and talks on the EU budget, will not necessarily be profoundly affected by a coalition arrangement, since all three main parties tend to broadly agree on substance (although perhaps not on strategy and tone). However, it's clear that the Lib Dems are out of step with the British public on the EU. Quite apart from the possible merits of a coalition in other areas, it would be most unfortunate if the Conservatives allowed a deal with the Lib Dems to kill off future momentum for EU reform. As we've argued before, Europe is changing - with the eurozone cracking and people across Europe seriously starting to question whether the current model for European integration is sustainable (most people already know it's not democratic) - the long-term prospects for a UK government to find allies and change things in the EU for the better are greater now than in any time in recent history. Cameron should therfore stand firm on his ideas for EU reform in the talks on a possible coalitionwith Nick Clegg. The dilemma thrown up by a hung parliament will obviously remain the main focus of British politics for some time. We will certainly return to what the result means for the UK's relationship with the rest of Europe as possible government arrangements become clearer. Due to various procedural changes, the Lisbon Treaty is going to have to be ratified by Parliament yet again after the General Election. David Cameron has always been explicit that had he been Prime Minister when the Treaty came forward for ratification, he would have held a referendum. Until now that has simply been a hypothetical situation – but now it is set to become a reality. However, even before considering the complexity added to this question by the possible deal the Tories will strike with the Lib-Dems, this is very much a case of something being ‘too good to be true’ . Having campaigned tirelessly over the years for a referendum on the EU Constitution/Lisbon Treaty we would love to share the TPA's optimism. But a referendum on this amendment to the Lisbon Treaty is, sadly, a non-starter - although the TPA does make several important points that the Conservatives should take on board. Several member states want to amend the Treaty in order to allow an extra 18 MEPs to take their seats in the European Parliament. Lisbon provides for 754 MEPs but, because Lisbon had not been ratified before the European elections last year, only 736 were elected as per the rules of the previous Nice Treaty. The need for treaty change is a consequence of the further complication that the new rules would require three German MEPs voted in under Nice to give up their seats. So the proposed solution is to change the Lisbon Treaty in order to allow the three German MEPs to remain in their seats for the rest of the term and allow the 18 new 'Lisbon' MEPs, including one from the UK, to take their seats. The TPA are absolutely right to point out that the treaty change requires unanimity - i.e. the UK has a veto - and that Parliament will need to ratify the amended Treaty. The desire for a referendum is completely understandable, given Gordon Brown’s and Nick Clegg’s shameful broken promises to give the people a say on this Treaty. However, a referendum on an 'amended Lisbon Treaty' would be almost completely meaningless as it would not change the fact that the Treaty as it currently stands is already ratified in the UK and throughout the EU. It would therefore only be a referendum on whether the 18 extra MEPs, including one British MEP, take their seats before the end of the current term, it would not repeal the existing Treaty. It is simply not credible to ask an incoming British Government to call a referendum on whether to send one more MEP to Brussels – and for a potential Cameron government it’s even more unreasonable given that the extra MEP would be a Tory. It could be argued that this presents an early opportunity to call for the renegotiation of powers, which David Cameron outlined last year, but the ghost MEP amendment is actually of very little worth as a bargaining chip, since if the changes are not agreed they will automatically go ahead after the next European elections in four years time. But the TPA is right in principle that the Tories, if managing to form a government, should seek to use Treaty amendments or other changes to their advantage (provided that they constitute genuine bargaining tools). There are plenty of things in the pipeline where a Conservative government could use its veto to get the things it wants. For example, there may well be treaty changes to incorporate new rules for the eurozone - something certain countries will badly want and for which the UK would be well within its rights to exact a price. Or the potential creation of a European Monetary Fund, which would be a clear step towards EU fiscal federalism. Other examples include a potential Croatian accession treaty and the upcoming EU budget negotiations. We would never discourage people from debating the significant impacts of the Lisbon Treaty, and the undemocratic way in which it came to pass, but moving forward, we should turn our attention to the many future opportunities that the next Government will have to reform the UK's relationship with the EU, reducing the wastefulness of the budget and repatriating powers that are best exercised nationally rather than from Brussels. In the context of a crumbling eurozone and the tangible mood of disenchantment with the EU around Europe, a determined British Government should indeed capitalise on future Treaty changes and find strong allies for returning powers to the Member States. But any tactic for radical EU reform must be strategic, carefully thought through and well-timed. 18 ghost MEPs, regrettably, is not the answer. EMU was a political project imposed on unenthusiastic electorates by political leaders in a hurry. However, it was based on some very bad economics and ultimately bad economics leads to bad politics which we are beginning to see. There is no example in history when a country has got out of difficulties like those of Greece without devaluation and/or default. If Greece and the other 'Club-Med' countries were to default and leave EMU it would have huge implications for the banking system in Germany and elsewhere, a default by Spain would probably wreck Germany’s which might have to be nationalised. The least bad option would be for the German bloc to leave EMU. Germany’s banks might still have to recapitalised, but it would be less costly doing it directly than it would indirectly by trying to 'rescue' Greece. However there is no way out of this mess that will not be painful for all countries within EMU as well as the wider world. Read the full German version here, and an English translation here. The European Commissioner for Trade, Karel De Gucht, is one of the more candid people in Brussels (he infamously once referred to the Dutch Prime Minister Jan Peter Balkenende as "a mix between Harry Potter and a rigid bourgeois without charisma" - a comment which didn't go down particularly well in the Netherlands for understandable reasons). We knew that Greece was cheating, it was clear as soon as they joined that there was something wrong [with their figures]. The thrust of the spirit and of the letter of the Treaty is that everything is done to construct the euro area as an optimum currency area. First by ensuring that it incorporates economies that have already proved being convergent in the fiscal field as well as in the monetary and financial fields. The strict rules attached to the euro could emerge as one of the best ways to persuade the markets that we will put Humpty Dumpty back together again, put the public finances in order. The fact is that much like the more fragile financial institutions in the crisis, the stability of the eurozone was always predicated on semi-fictional data and an unsustainable economic model (as Tony Barber points out on his Brussels blog, only Standard & Poor’s, the ratings agency, was sober enough in the pre-crisis era to suggest that the politicians’ and markets’ confidence in Greece was misplaced). The financial melt-down and the soveriegn debt crisis, now plaguing the eurozone, taught us that grand economic projects built on sand just won't survive in the long run. It sounds so obvious. Question is, will EU politicans learn the lesson? In an interview with Le Pèlerin Magazine, Herman Van Rompuy reveals that he tried everything in his power not to become EU President. “Until the last minute, I did anything I could to refuse this appointment”, he says, adding that he even asked Swedish PM Fredrik Reinfeldt to remove his name from the list of candidates. Hmm, doesn't sound particularly credible. 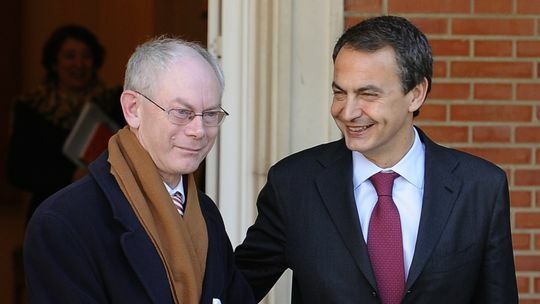 at a dinner on 28 October the French-German axis went to work: Sarkozy supported Merkel's candidate, Herman Van Rompuy. The day after at the European summit in Brussels the two asked whether the Belgian would possibly accept the job. The PM was up for that, and started a tour of the capitals in order to present himself. He was liked. He may be the accidental EU President, but he's not that accidental. Politicans, after all, tend to be attracted by power - even haiku-writing ones.